Home » Broadband » It’s more than just the phones: what can we expect at Mobile World Congress 2015? Queue the noise and excitement in technology, another “geek gathering” is here. 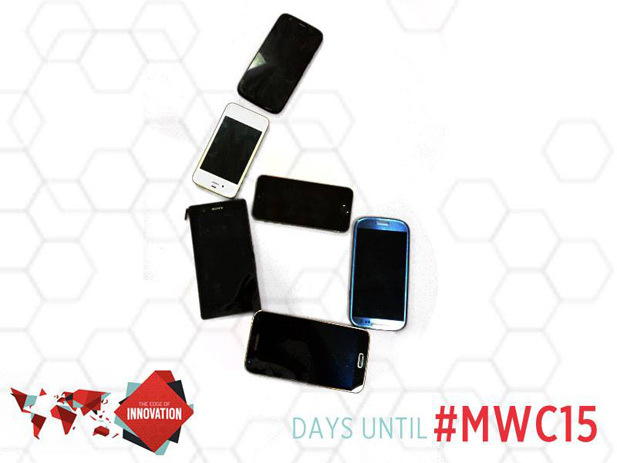 All the focus this time will be on Barcelona, as Mobile World Congress 2015 (MWC 2015) the biggest mobile tech expo and conference kicks off next week. It’s tradition; each year brings with it a number of new mobile devices from major manufacturers and the day before MWC begins,(mark Sunday 1 March on your calendar) brands which include Samsung, HTC and LG show the world what they have been pouring millions in R&D and expensive promos into (who believes those images are accidentally leaked anyway) this past year. So what’s got people all excited this year? The press conferences announced before Mobile World Congress usually point to the big announcements. This year it’s Samsung, HTC and Microsoft that have products they want to talk about. With an elaborate build-up, rumors (an all metal case, 16 or 21 MP camera ,5.1 inch screen, more than 1 model etc) and teasers that have shown us that it’s likely going to have curves and edges along the lines of the Galaxy Note Edge, there isn’t much left to say about this phone really. Samsung is out to reclaim market share and smartphone dominance with the highly anticipated Galaxy S6, the response to the iPhone 6 and competition to everything else running on Android or trying to make a big phone. Also highly anticipated is the new HTC One M9. This is a follow up to the HTC One M8 and speculation has been swirling around two versions of this new device. One is tipped to be a phablet and HTC is rumored to have a smart watch also set to be unveiled during MWC 2015. Microsoft – A mystery device? The new owners of Nokia Mobile have a press conference lined-up but there hasn’t been any build up or reason to expect something new. In January, we were told that a Windows 10 phone was set for 2015 so perhaps this will be fleshed out on the 2nd of march along with more info on Microsoft’s further investment into mobile. There’s a lot of mind capital in one place. Shouldn’t we be taking advantage of it? With 85,000 attendees and 46,000 of them being corporate executives in all things mobile, there’s obviously a lot of thought exchange in the MWC’s 4 days. It’s more than just a festival around new phones. There is a conference with decision makers in mobile tech sharing ideas and insights on mobile tech. Which is why announcements from service providers like Facebook and WhatsApp are part of Mobile World Congress. The value of such gatherings (Think AfricaCom, CES) is something that ought to be tapped into by everyone who sees themselves as being a thought leader in the respective space. I wonder how many Zimbabwean service providers who deal in all things mobile will be making an appearance there? With mobile technology being something that has a huge impact on how we appreciate services such as the internet and e-commerce, shouldn’t our presence there be made a priority?